Book talk and Q and A at the GMU Faculty Club as part of the Osher Lifelong Learning Institute. 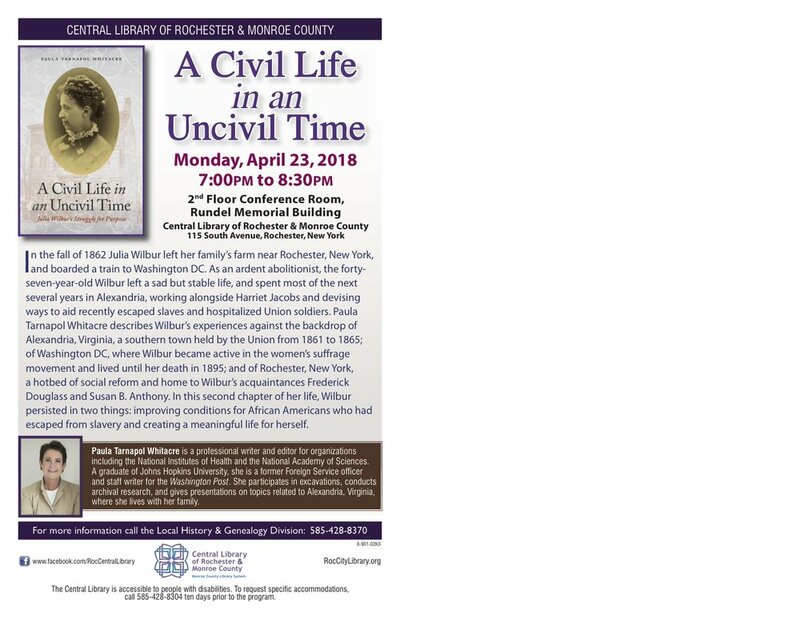 Lecture as part of a Civil War series. Come by the Fairfax City branch for informal conversation and to purchase signed copies of my book for holiday gift-giving! 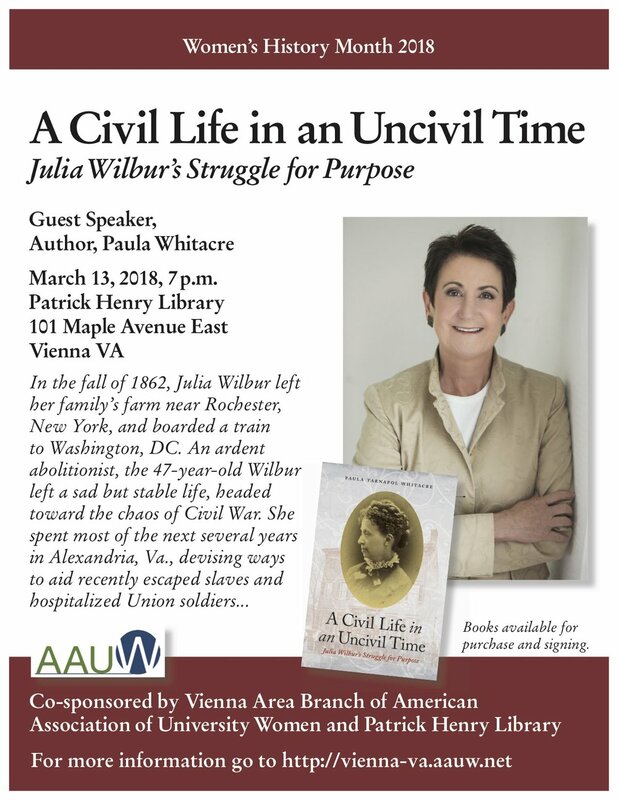 Presentation on Harriet Jacobs and Julia Wilbur, including their observations of Freedmen's Village, which was on current-day Arlington Cemetery land. A number of African American related sites will have informal programs to commemorate Juneteenth. I'll be at Freedom House to answer questions., I will also have an electronic copy of a very special photo album presented to President Lincoln by the Freedmen of Alexandria in honor of his re-election. $5 admission to the museum. Along with Gene Meyer, author of Five for Freedom, and moderated by Will Pittman. Will also be taped for C-Span's Book TV!